Our goal is to instill positive life lessons for all participants through teamwork, working towards common goals, personal development, competition and most of all, having fun. We strive to provide the highest level of coaching instruction at each age level to ensure individual growth within the sport. Respect for the game of lacrosse, teammates, opponents, officials and coaches is the cornerstone of our teaching philosophy. Below is a snippet of frequently asked questions you may have. If you have more any questions you can't find answers to below or throughout our website please feel free to contact us at or . All boys and girls will practice on the same days of week offset by 15 minutes. We will be practicing at Amend Park and Ponderosa Park which are about 4 minutes from each other. Our registration will cover all officials fees, field rentals, uniform, practice jersey, and other items. The only 2 things it does not cover is your US Lacrosse registration and pads. If you have a hard time with the cost of registration please fill out an Ivy Barnes' Scholarship request located HERE. Ivy loved lacrosse and was her favorite sport and in memory of her we want to make sure as many kids have an opportunity to play a sport she loved. We can help cover costs of registration and equipment. You can choose to purchase your equipment on your own which will cost between $200-$250 for boys and $40-$90 for girls. If you do not wish to purchase equipment you can rent equipment recently purchased for $50 for the season. If you enjoy the sport and wish to purchase the equipment we will apply the $50 towards the purchase. 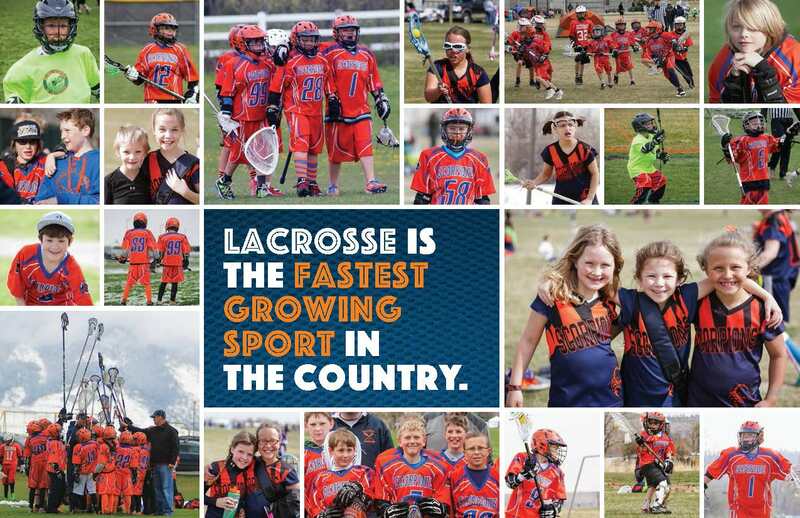 Our goal is to try and make lacrosse as affordable as possible. All girls teams and Boys U11 and older will all travel for games. Most away games will be played between Helena and Bozeman but we will have 1 trip to Missoula and 1 optional trip to Jackson Hole Wyoming during the season. U9 boys is strictly a developmental team where we will practice once a week and then have a scrimmage the other day of the week. We believe at U9 players are already busy and we want them to focus on having fun and learning the basics. We may do an end of the season scrimmage or two against a bozeman or helena U9 team but that will ultimately be decided by the coach and parents. Thea true season will run between March 1 through the Weekend after Memorial day which is when the State Championships will be for U13 and U15 boys and girls. Because we order custom uniforms our order must be placed by February 15th in order to ensure our uniforms will be ready by our first games which will occur as early as the first weekend in April. While we encourage and promote players attending every practice we understand there will be times it may just not be possible. please just notify the coach so they can plan accordingly. We understand that kids and parents are very busy and as such if they miss a practice here and there they won't be penalized playing time as that is not fun nor does it benefit the player. We wants kids to play and have fun. The more fun they have the harder they work during practice and the more they want to be at practice. Lacrosse is more than just a sport, it is a family. Parents, Players, Coaches, and Volunteers are all apart of the scorpions not only because lacrosse is a great sport pulling skills from many other sports, but because we are a family. We practice together, play together and celbrate together. Our end of the season parties are always as an organization because we are Scorpion Lacrosse and not just U13 boys or Middle School Girls. We come from all walks of life and have met friends we may have never otherwise met. If you are looking for something new or different and want to be a part of something special we may just be it. We look forward to seeing you on the field or in the stands in the near future.